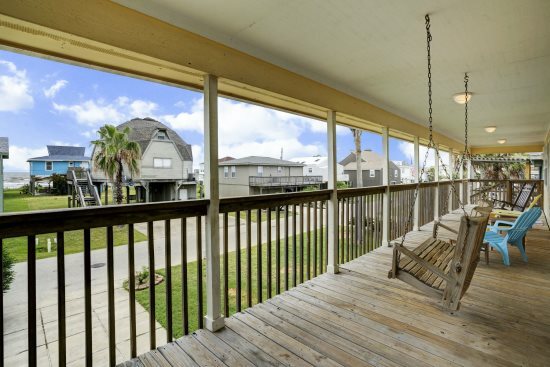 Enjoy the breeze at this adorable West End beach home with amazing views and tons of outdoor space! Property Size 1,737 sq. ft. 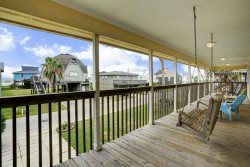 Sit back, relax and enjoy the breeze on the large covered deck of this adorable West End beach house. Las Brisas features stunning coastal furnishings and decor, a large, open kitchen and living area and a large yard with an amazing view. 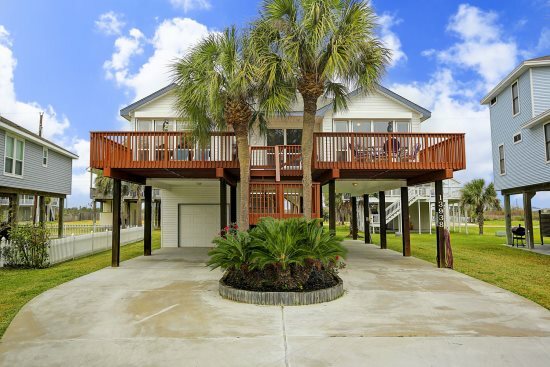 This home has a king size bed in the master suite, a queen size bed in the second bedroom and a bunk bed in the third bedroom, in addition to two updated bathrooms. Breakfast at the outdoor dining table is a must before heading to the beach, just a three to five minute walk away. As an added bonus, a volleyball net and bocci ball is set up in the yard and a picnic table under the house.